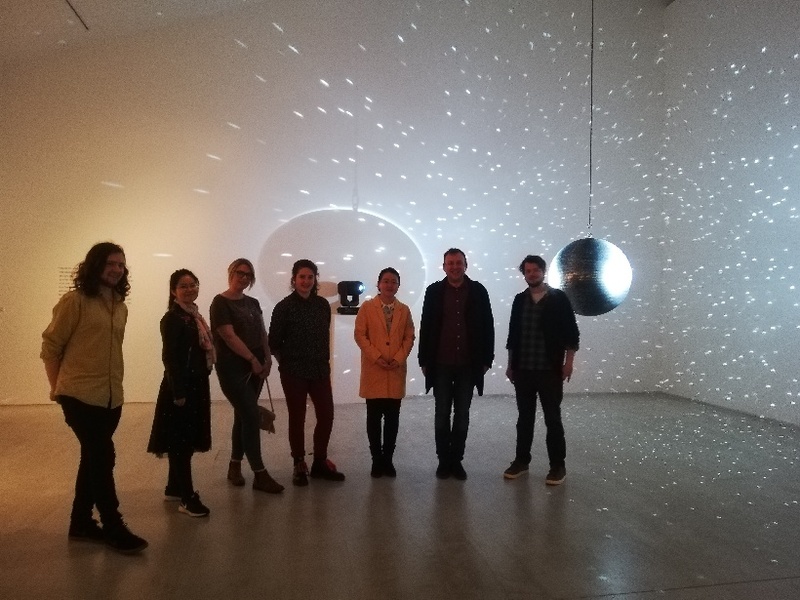 Students from the third year module Radical Political Thought enjoyed a trip to the Turner Contemporary Gallery in Margate on 7 March. The visit sought to interrogate the political basis of the contemporary exhibitions – helped greatly by our wonderful tour guide. Starting with Cornelia Parker’s ‘Perpetual Canon?, we asked: How does the work – of sixty flattened instruments from a brass band – allow us to think about the historical erosion of working class communities in the epoch of neoliberalism? Moving on, we explored the exhibition: ‘A place that exists only in moonlight: Katie Paterson and JMW Turner’. The work involves a subversive reintegration of the arts and sciences in order to interrogate a certain idea of light in space. In a world where forms of practice have become atomised in service of profit rather than knowledge, this reintegration is immediately political. Finally, we explored ‘we made this’. This was a collection of work by people in prison, young offender institutions, secure hospitals, or those on probation in Kent and Sussex includes sculpture, paintings and poetry. The politics of the very fact of this exhibition should at least be clear.